Modern cyber criminals are a clever bunch of people. Read this guide to stay ahead of the curve. This is the third post in this series of posts where we talk about what are fake antivirus softwares and how one can stay safe from scammers trying to sell fake antivirus softwares. If you missed the first part of the post then go here. Go here if you want to read the second part as well. Both of these parts should help you in building a solid foundation for your online security against fake antivirus programs. In this third part, we’ll talk more about some of the issues that rise up when you get fake antivirus software notifications. As we mentioned before in the previous sections of this series of posts, getting fake antivirus notifications is only the beginning of the overall problem. You might want to close these pop-ups as soon as they appear, but sometimes that action doesn’t help. The reason why closing some of these fake antivirus pop-ups becomes a problem is because it can push the user into more problems that stem from the original fake antivirus notification. Users who have suffered through fake antivirus notifications might be able to recall that the problems only compound when you close one of these fake notifications. For example, most of the time if you close one of these fake antivirus notifications, you are confronted with more advertisements and even more notification that magically appear on your screen and refuse to go away. More serious scenarios may cause your computer machine to become compromised because of these fake antivirus notification. To put it another way, buying fake antivirus software application and then installing that fake antivirus software on your computer machine is a big issue not only because it messes up your computer but because you can actually lose control of your machine to scammers and other cyber criminals. The solution to fake antivirus notifications isn’t simple. In fact, some of the solutions that are presented by “experts” online only leads the victim into more fake antivirus problems. Most of the time, if you haven’t taken appropriate steps to remove the fake antivirus software from your computer machine, you will be faced with an increased amount of malware. Your computer will actually slow down and might even lock up. But that’s not all. Fake antivirus software program might affect other programs on your machine as well. Sometimes, fake antivirus programs managed to embed themselves so deep into your system that they are able to disable all other programs that are installed on your system. As you can probably imagine, that is not a situation you want to find yourself in no matter what. But some of you might fall into a cleverly laid trap, so for those folks, we’ll discuss some solutions as well later in the post. In short, don’t think that just because you closed that fake antivirus pop-up, you’re out of the woods because you are not. 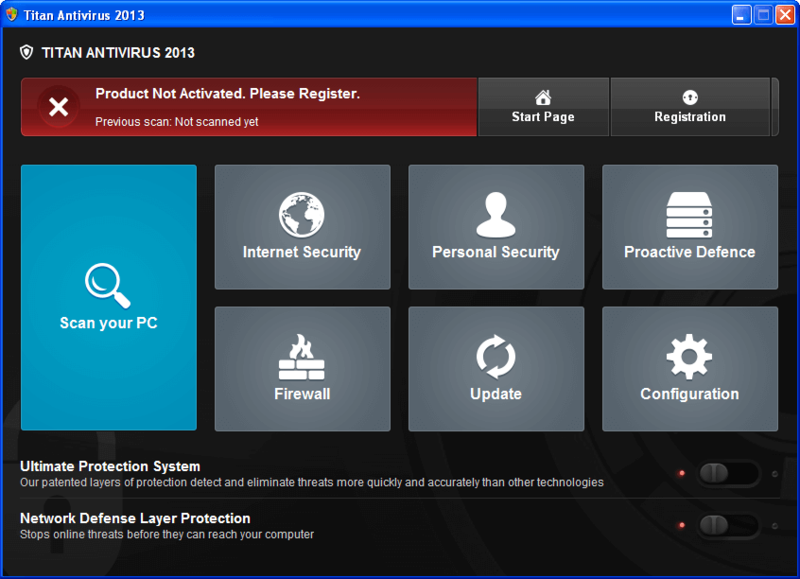 Closing any fake antivirus pop-up usually, lands your system in more trouble than before. At the best, you should expect your machine to run painfully slow and at the worst, your machine might get infected and then become useless. How Do Fake Antivirus Software Applications Actually Work? How Do They Get To Us In The First Place? 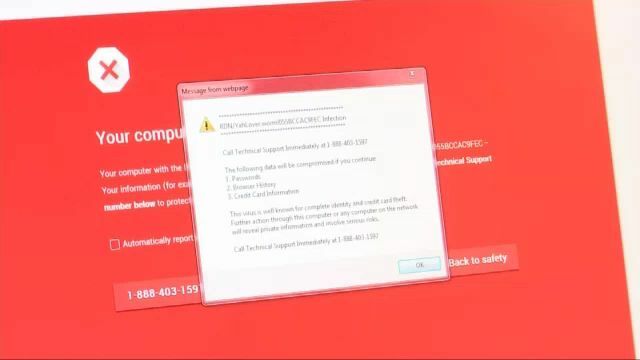 As mentioned before, fake antivirus program usually get unwary online users by first displaying fake notifications on their screens (they might be able to show fake system alerts as well, so watch out for that) and then triggering a chain reaction with the help of a Trojan. Of course, the Trojan is installed on the user’s system without their permission or knowledge. You can easily get a Trojan on your system by opening an email that an unknown email address sent you with an attachment. See, when you download an attachment from a sent email without first verifying if it’s legit, you expose yourself to remote hacking. Yes, cybercriminals along with other hackers can remotely hack your computer if you’re not careful enough. This is the 21st century we’re talking about, people are smart and hackers are usually a bit above-average when it comes to intelligence. Fake antivirus programs have some pretty clear giveaways. But if you thought that was the only way you could get a trojan on your computer then you thought wrong because there are other ways as well. You can download a trojan on your computer through torrents as well. Yes, it is a sad reality that many of us download free software and other content including antivirus programs along with movies and TV series from piracy sites such as Kickass Torrents and PirateBay and end up downloading trojan along with the files as well. Not a good deal by any stretch of the imagination. Just as you can download a trojan from downloading a torrent, you can also get infected with one by using peer-2-peer networks. If you visit shady websites on a regular basis then there is a good chance that you might have malware on your computer. As indicated earlier as well, clicking on pop-up advertisements can also lead you to unknowingly downloading a trojan on your computer. Some cyber criminals use reverse-psychology to trap their prey. In other words, they first warn you that your computer has been infected with a virus and when you click on their alert, they actually install the virus and then get their way with your online data and other sensitive information as well. So you’ll basically get a double whammy, first you’ll be shown a warning about some malware being present on your machine and then when you click the advert to get rid of it, you’ll actually infect your own computer with your own clicks. As mentioned earlier in the article as well, most of these fake antivirus alert first show you fake notifications and then lead you to believe that your computer has been infected with a virus or a malware program. And these cyber criminal folks are quite creative when it comes to framing their messages. They may call a virus by any number of names in order to convince you that their alert is real and genuine. Sometimes, hackers use the term spyware and ransomware or cryptoware to lure users into installing their fake antivirus program and hence infecting their systems. Of course, you should know that in most cases, your computer isn’t infected at all. Instead, all these alerts are fake from the bottom up. But since this is the online world where there is no authority and little oversight, sometimes cyber criminals really try out their luck and actually install the malware on your system without your knowledge the first moment you lay your eyes on their fake alert. In other words, even if you don’t click on a fake advertisement about installing some known or unknown antivirus programs, you might still get malware on your system just because of the opened pop-up. So don’t spend time thinking about whether you should get away from a website that shows you these type of messages. Don’t let fake antivirus programs scan your computer just because the pop up says that you have been infected with malware, spyware or a virus. If you don’t interact with the advert, there is a good chance that you might be able to escape unscathed. How Do You Actually Recognize And Then Identify A Fake Antivirus Program? Never take any company for granted for cyber criminals will use any name to deceive you. This might not sound too intuitive, but fake antivirus programs do themselves no favor by being overly efficient in their work. To put it another way, a fake antivirus program is known to find more issues on any given system than a legitimate antivirus program. Cybercriminals along with hackers, in their effort to trap users into installing and then using their fake antivirus software sometimes go too far. For a user who has read guides like this one, it is easy to catch these type of fake antivirus programs and their fake notifications. Of course, presenting problems more in number than they actually are, is part of the con that the cybercriminals are trying to pull off against each and every online user. Essentially, they want to deceive users into believing that the fake antivirus program is actually working in top condition so that the user may not uninstall the program (assuming that’s even an option) from his/her computer system. And then there are those “advanced” cyber criminals who only use these fake antivirus scans and notification as part of a much larger plan. A plan, where these cyber criminals want to sell more junk security software applications to the user who has installed the initial junk software in the form of a fake antivirus program. No matter the case, you should always remember that a fake antivirus program is much more likely to show you unnecessary and an uncomfortably large number of notifications when compared to a real antivirus program. Anecdotal evidence strongly suggests that online users who have installed fake antivirus programs on their machine are much more likely to experience a large number of pop-ups that originate from the fake antivirus program than users with genuine security products. 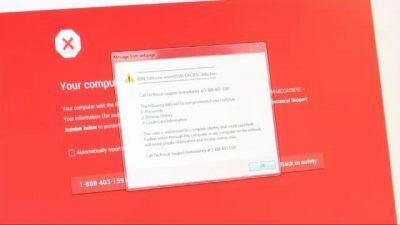 Users who have unknowingly installed fake antivirus program should also expect an unusually large number of pop-ups and system alerts when they are connected to the internet. But there are many other ways you can judge whether the antivirus program you have installed on your system is legitimate or not. One of the classic signs of a fake antivirus program is that, after the installation process is complete and a user actually activities the program, it slows down the user’s machine to a virtual halt. Other fake antivirus programs, not for lack of trying on the part of developers who are behind these fake software applications, don’t slow down the user’s machine as much but still hit the performance to perceptible levels. Most of the time though, the drop in speed and performance of a machine is quite a pronounced one. Windows or Mac, you need to learn how to stay safe from a fake antivirus program. Well, as mentioned before, installation and operation of the initial fake antivirus program is only part of the overall plan. Cyber criminals always tend to go for much more and in our case, that means the fake antivirus program will probably want to install other pieces of malware and junk software on a given user’s machine in order to further slow it down and eventually make it unusable. All of this stuff happens secretly without the knowledge of the user. If the computer is connected to the internet (which it should since we’re not living in the 90s) then the fake antivirus program can take it up a notch and receive updates about how to proceed further through instructions from the command and control centre. Perhaps, one of the clearest signs that you have managed to install a fake antivirus program on your system is your web browser’s homepage. Yes, if you notice that suddenly your web browser’s homepage has changed to something you don’t know or remember, then it is a strong sign that some form of malware or fake software has been installed on your system without your permission. Using Google Chrome or Mozilla Firefox and then hoping that you would be safe from all kinds of malware and spyware is foolish. No doubt, these are the top two browsers in the world but when it comes to the world of cyber criminals and hackers; they can hack into anything and everything. Moreover, if you notice new toolbars in your browser or other forms of crapware then this is also a pretty decent sign that a fake antivirus program has installed itself on your computer machine. Sometimes your browser would automatically go to the site of a specific software developer without you moving a muscle. That is also an indication that your computer system has been infected with a fake antivirus program. 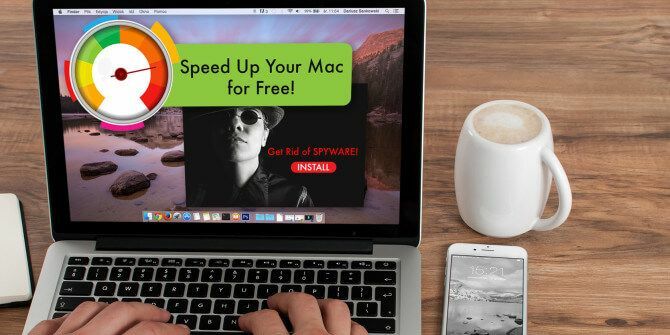 Cyber criminals sometimes lead users to a site of their choosing and then try to sell users more fake software with the help of more advertisements placed on the specific website. They might also try to install more malware. Keep in mind that the fake website’s layout will closely match the one of a legitimate website. So don’t get caught just because the website looks cool and shiny. We’re still not done in preparing ourselves for fake antivirus programs. 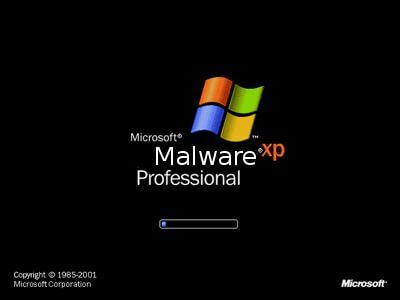 In the next part of this series of post, we’ll discuss explicitly how you can mitigate the fake antivirus program threat. If you missed the first part of this series of posts then go here to get a solid foundation on how to protect yourself against fake antivirus program. The first part will introduce you to the concept of fake anti-virus programs and how they end up on your system. To take your fake antivirus program education a bit further, don’t forget to check out the second part of this series of posts here. And finally to finish off your fake antivirus program education, go to the fourth and the final part here. Kodi Add-Ons and Cyberlockers Aren’t Friends Anymore.